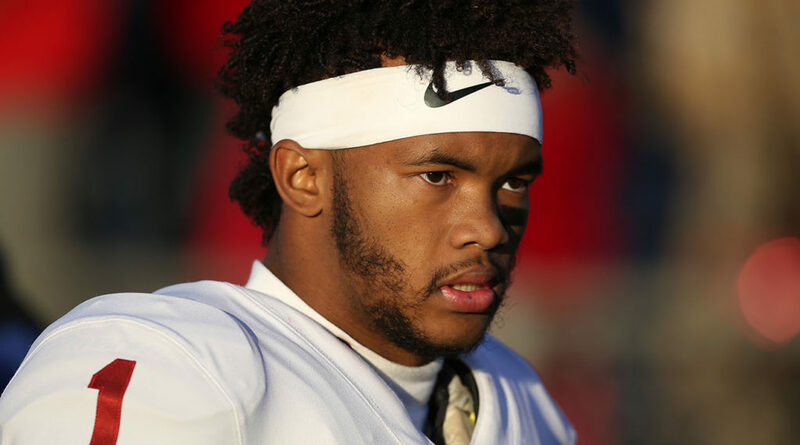 OU head coach Riley suspends Sooner qb Kyler Murray for today’s Baylor contest…. If there is one thing I like about head coach Lincoln Riley of the Oklahoma Sooners football program is that he does not play favorites in discipling his players. He is a man of his word. 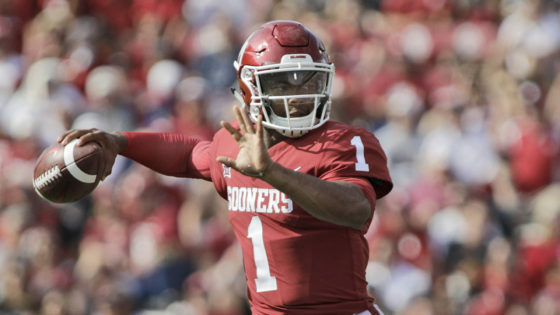 Riley has suspended Kyler Murray, OU’s highly effective quarterback for today’s start in Norman. At this time, the amount of missed game time is not known. It has been suggested that he will miss the first series of the game when the Sooners have the ball, but it could be longer. The important thing with Riley’s action is that no matter the player or his importance to the team, he will take decisive action on handing out punishment and he plays no favorites in doing so. This allows the players to know what will happen when their indiscretions are negative to the team. I applaude his consistency. As of last year when star quarterback Baker Mayfield was suspended for his actions in a game the week before. I remember a few years ago when my Uncle John Pratt, (Oklahoma Coaches Hall-of-Fame member) former basketball coach at Midwest City High School (23 years) related a true story to me. He taught me how important discipline can be in working with players. He understood that being fair and consistent will all players is a must. He took a little and upcoming school in Midwest City back in 1950 and as the city grew, the high school became a powerhouse in sports at the highest level in the state. He set standards that were harsh and unrelenting but fair and understood. Uncle John learned his coaching philosophy from Hank Iba, legendary college coaching icon, being a student assistant with the “Iron Duke” for two years while at Oklahoma A&M. The previous year before my Uncle took the job, the Bombers had won two basketball games. In his first year, Uncle John knew that he had to set a foundation for his program for it to grow and flourish into a winner. On day one of his first basketball practice at the school the rules that his players were to follow if they wanted to be part of the team were established along with the consequences of punishment of those that did not follow said rules. My Uncle, being a young coach, had to learn a lessons (as the coach) in that first year as a head man. The first one he learned is that your word has to be totally genuine and you have to do what you say. The young coach’s learning of running a program of fidelity came quickly. One rule was that players would not smoke during the season and to do so would be a quick suspension for the year. You smoke, you do not play for Midwest City. My Uncle, in a visit with an already established coach at a rival school, Capitol Hill in Oklahoma City, C.B Speegle, was telling. Coach Speegle, told my Uncle that yes, it was good to make stiff rules and such, but be prepared to face the consequences of your word. (My Uncle said that the Capitol Hill coach told him that if he had such rule of no smoking his whole Redskin team would have to be suspended). You can see where I am going. The first week of school, my Uncle’s best player was caught smoking and admitted it. Uncle John summarily suspended the young man, a junior, for the year. The player that he was going to build the next two seasons with was off the team. You have to understand that my Uncle felt bad, but had to do what he said he would do. To be fair, he allowed the player to practice and sit on the bench during games, to watch. Rules were established at Midwest City. They were harsh. But the program was established and in three years Midwest City was in the State tournaments and winning twenty games a year as a norm. Yes, my Uncle missed out on some players at the school as of his “iron Duke” coaching attitude was too hard for them to adhere to. But Uncle John Pratt did not have the player problems that arose at other schools. He, as is Lincoln Riley of today, set a high standard that gives to a winning atmosphere. OU is in good hands with Mr. Riley. Thank you Marvin. You are a great man.